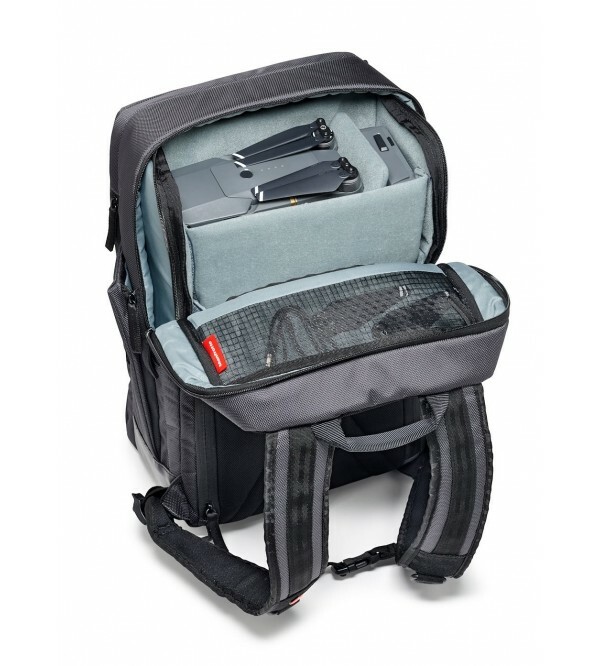 The Manfrotto Manhattan Mover-30’s branded removable insert gives you two bags in one. The highly functional internal pouch features the new Flexy Camera Shell, an innovative protection system engineered by Manfrotto. It’s big enough to accommodate your premium CSC camera such as Sony Alpha 9 with a standard zoom lens attached plus up to 3 lenses, including a 70/200 mm f/4 lens. 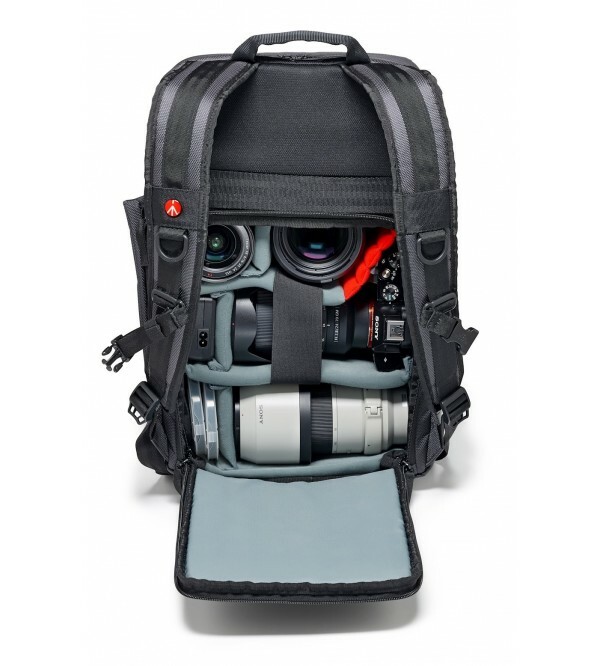 The top part of the backpack also holds a second premium CSC body, such as a Fujifilm XT series with standard zoom lens attached, plus one additional lens. Moreover, the top part can hold a DJI Mavic drone with 2 additional batteries. Quickly get your gear out using the secure back access or the easy top access. On the front, the NeverLose tripod holder system allows you to carry your tripod, skateboard, personal gear like a jacket or even a drone. 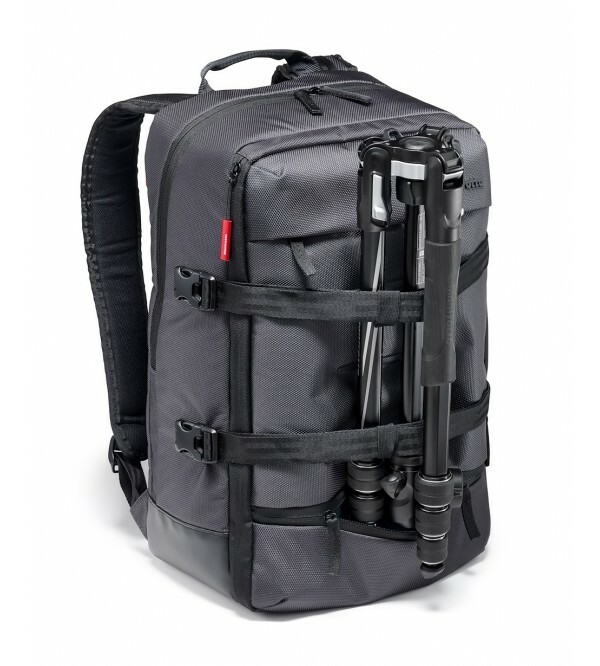 It transforms into a minimalist Manfrotto Manhattan Backpack by storing the double webbing in its front panel. 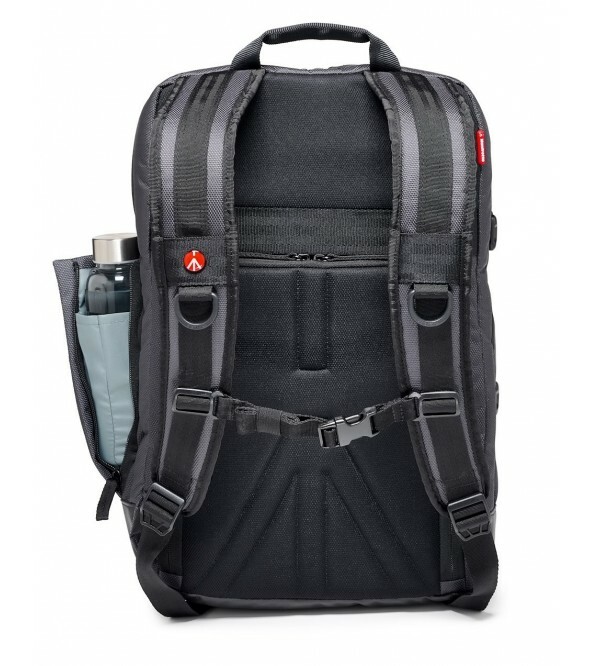 The pack features two padded compartments that hold a 14” laptop and 9.7’’ tablet. 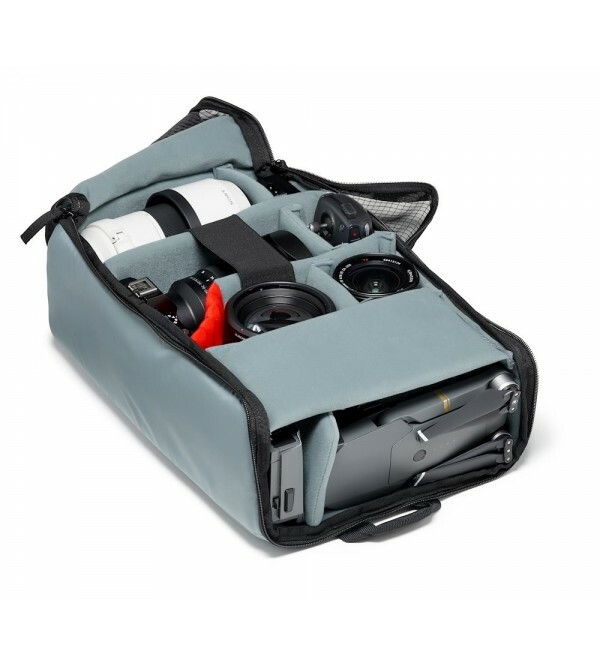 If you don’t need to take your photographic gear with you, simply remove the padded photography pouch and use your camera backpack as an everyday media bag. 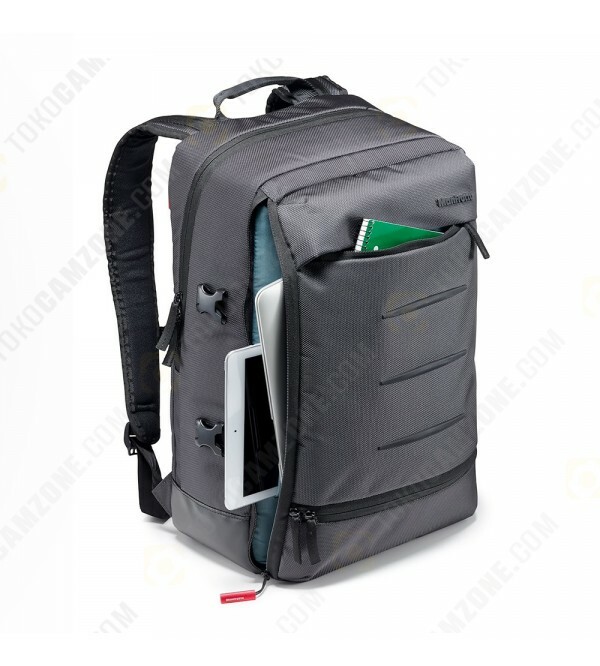 We’ve taken great care to select the best materials: high quality ballistic fabric protects your photography bag from scratches, and the coated material on the bottom part allows you to easily clean your bag. All external fabric is treated to make this stylish camera bag water repellent, and a rain protector is also supplied in case of extreme weather conditions.